New adventures in 3D – Terrain! So where I have I been for the last month? Working away on quite a few things (too many at once, to be honest). Three different epic units on the go, a bunch more “museum” tanks – but what’s really taking up my time (and money) is more work on 3D design and printing. 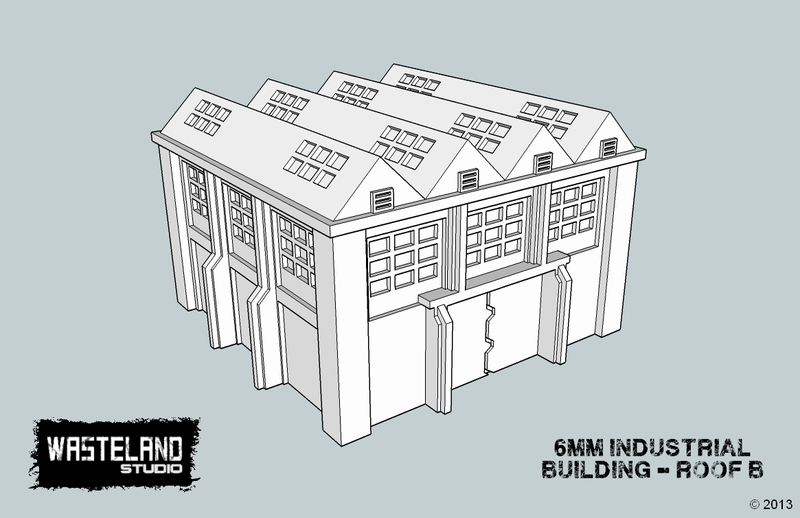 I figure that since the Epic buildings produced by Forge World have been long unavailable and un-ruined structures for epic are few and far between, there was a place for some new buildings. 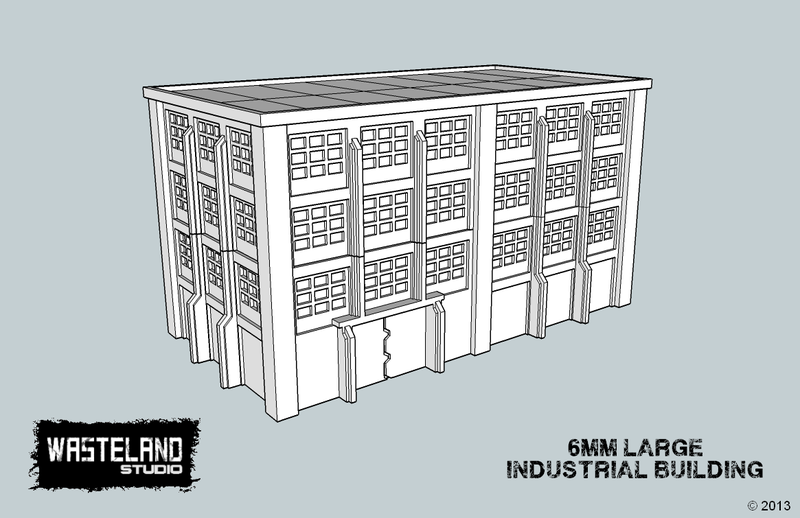 I’ve been working away at these in Sketchup and I’m pleased to report that progress has been pretty good so far. The first set of walls has been printed, cleaned and is now in the talented hands of Uncle Mike for resin moldmaking. Another batch of designs is on its way to the printer so soon I should have actual, physical pieces for everything you see in the images below (plus a little bit more!). I’ve designed the walls to be modular, as you can see in the second image – you can build up and out by adding more wall sections and corner pillars. 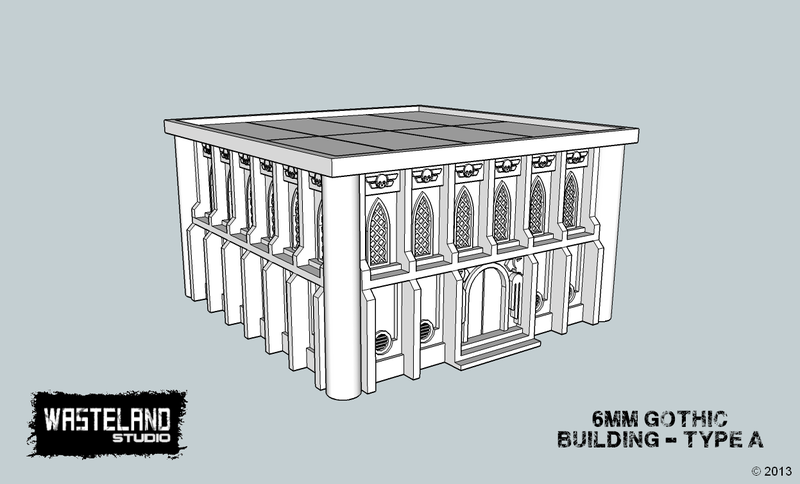 The pillars are styrene, with a choice between round and square. It has taken some cleaning up of the printed masters, but so far the detail has come out nicely – the gothic-style walls were the first I printed, since I figured if their detail showed up OK than the other, simpler walls should be fine. I’ve also received a new batch of vehicle turrets, as previously featured. This new batch has bigger, beefier detail that I’d hoped would print better – unfortunately it’s too soon to tell. The prints require a bit more cleanup than I had expected, and right now they’re still at the diamond-in-the-rough stage. Hopefully they’re some diamond under there after all…if not, back to the drawing board again. This new 3D printing project has me pretty psyched, and I’m excited to see what result comes out of the mold. Hopefully I’ll have some actual photos to show you next time.